'Gracillimus' Maiden Grass has rose-red inflorescences in late summer over green foliage with a thin, white mid-rib. 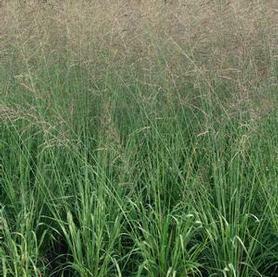 The old classic form of the Maiden Grasses, with attractive light tan winter color. 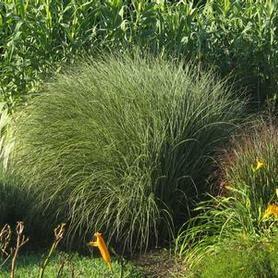 'Morning Light' Maiden Grass has rose inflorescences in late summer, above fine white and green striped leaves. The finest textured of the large Maiden Grasses, and one of our favorites in the landscape. Also beautiful all winter. 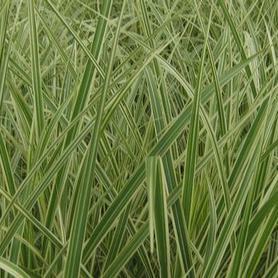 The reddish inflorescences of Variegated Japanese Silver Grass appear in September over white and green striped leaves. The silver seedheads and light tan leaves and stems are attractive all winter. 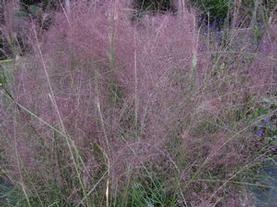 'Skyracer' Purple Moor Grass has tall seedheads in mid summer that are very showy above short, green foliage which turns yellow in the fall. Introduced by Kurt Bluemel, it holds up well in the winter. Bruce Crawford of The Rutgers Gardens calls Molinia a 'ghost plant' because you can see things through the airy seedheads. Molinias tolerate moist soils well. Muhlenbergia capillaris has deep rose-purple inflorescences in September, and the effect makes people stop in their tracks and stare. It must have a well-drained site, especially in the winter. 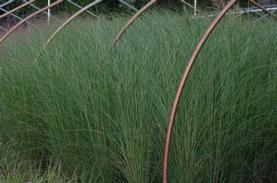 Undaunted® Ruby Muhley Grass ('PUND01S') is a warm season grass which comes into its glory in late summer and fall. The fine green foliage is the setting for delicate airy pink plumes above the basal clump to make a stunning show in mass. Muhlenbergia Undaunted® performs well in dry high pH sites, but also tolerates moist soil, unlike Muhlenbergia capillaris. The showy seedheads are particularly striking when backlit by afternoon light, and they persist for winter interest long after the pink has faded. 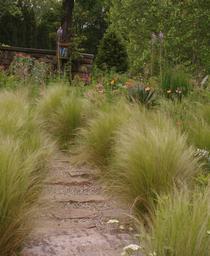 Mexican Feather Grass has delicate, hair-like green foliage which is topped by airy tan seedheads in early summer. It is great in mixed containers. Formerly named Stipa. Bruce Crawford of The Rutgers Gardens has had it survive in North Jersey, so maybe it's hardier in the ground in a well-drained site.